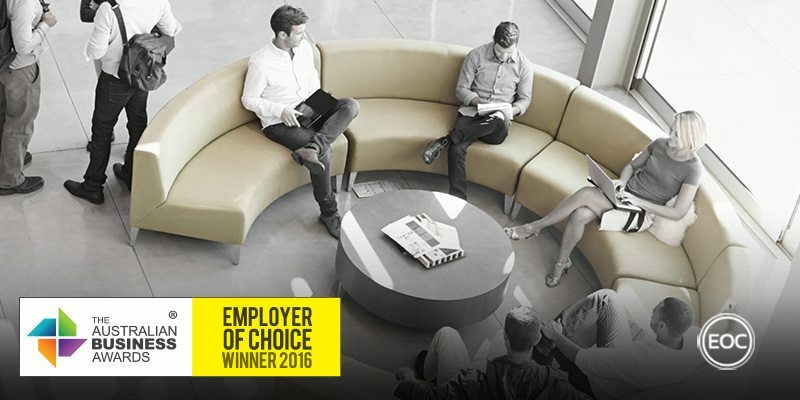 Klohn Crippen Berger has been recognised as an Employer of Choice in The Australian Business Awards 2016. Klohn Crippen Berger (KCB) is an international consulting ﬁrm providing technical expertise in a range of engineering and geoscience capacities, particularly in relation to mine waste and mine water management services. The company has been operating in Australia since 1993, emphasising the importance of a respectful, satisfying and fun workplace for its employees. Collaboration and open communication are the key focus of KCB’s workplace culture, which has been designed to provide employees with numerous avenues to provide feedback and make decisions that affect their work. Australian operations strive to foster an open culture of respect, trust and inclusion through numerous activities and initiatives related to health, safety and engagement. Included in this is a company-wide mentoring program and an internal transfer initiative, which makes use of KCB’s global presence by providing employees with opportunities to work and learn overseas. These programs aim to help staff develop technically and in a managerial sense, with a focus on creating the company’s future leaders. KCB Employees are provided with career pathways through these internal education programs and are rewarded with share options, which have seen KCB position itself as an employee owned company. Complimenting this are employee engagement and review initiatives, which see managers and staff members set annual goals to meet both personal and professional objectives. This process focuses on being forward-thinking, further strengthening internal career development pathways. KCB are also committed to the health and safety of their workforce, visitors and subcontractors, reinforcing the belief that safety is a way of work and not just an additional task. Regular safety meetings are conducted across the company’s organisational spectrum to ensure that all employees understand and can carry out their safety responsibilities. This process includes information sessions that adopt a “from the team, for the team” philosophy, within which employees share anecdotal and factual information on the topics of health and safety, technical procedures and field work.